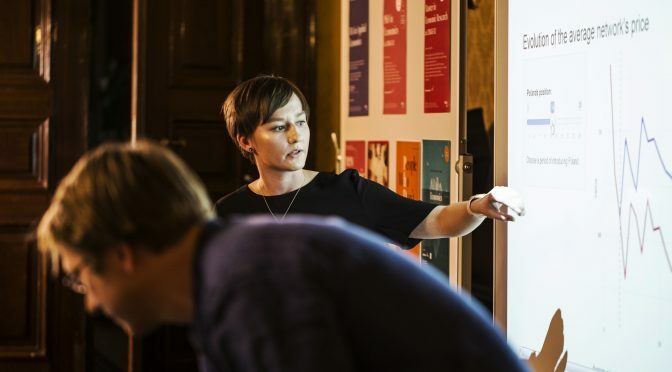 Project Snapshot, 8-minute presentations by CERGE-EI faculty, researchers, students and alumni, took place as part of our Open Day last week. There were 12 presenters giving 11 presentations this year, the fifth anniversary of the event. Presentations ranged from current research activities or research stays to future plans, and enabled a quick glimpse at what CERGE-EI people are working on. We would like to thank all who spent these two hours with us, with special thanks going to all presenters.